Housing Development Financial Corporation Bank or HDFC bank is a private sector bank in India whose headquarters is in Mumbai, Maharashtra. Like another banking sector, whether it is public or private, the bank also issues the credit card to its customers with multiple facilities. If you are an account holder with the bank, you can easily can easily change the address. 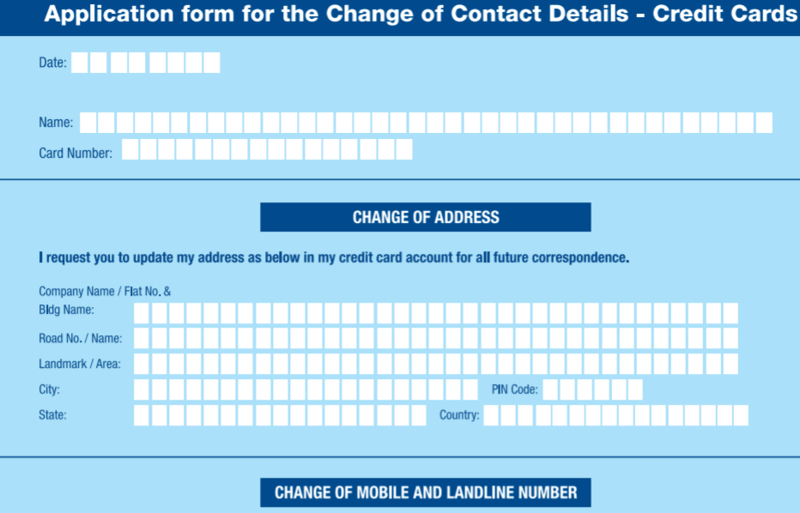 First download hdfc address change form for credit card and fill the form carefully. Just visit the nearest HDFC branch, consult with the branch manager or any appointed bank employee and then go forward with some basic steps, you will successfully change the present address. The bank will send your bank's documents under this changed address. You should submit "identity proof" and "address proof". You may also write an application to the home branch manager mentioning your old address and the new one. You should also mention your account number, account type etc. on the application. Sign the application and submit to the manager. After some verification, the bank will change your address and you will get an SMS on your mobile. Along with this application, you may also submit 'KYC Details Change Form'. Log in HDFC bank online banking website which is Change HDFC Bank Account Address Offline by Branch Visit. Now, you should enter your customer ID, Password or IPIN and confirm your 'secure access image'. Check in the Terms & Conditions box and then click on 'submit'. Your request is now submitted to the HDFC bank, after some verification, the bank will change your address within 2-3 working days.